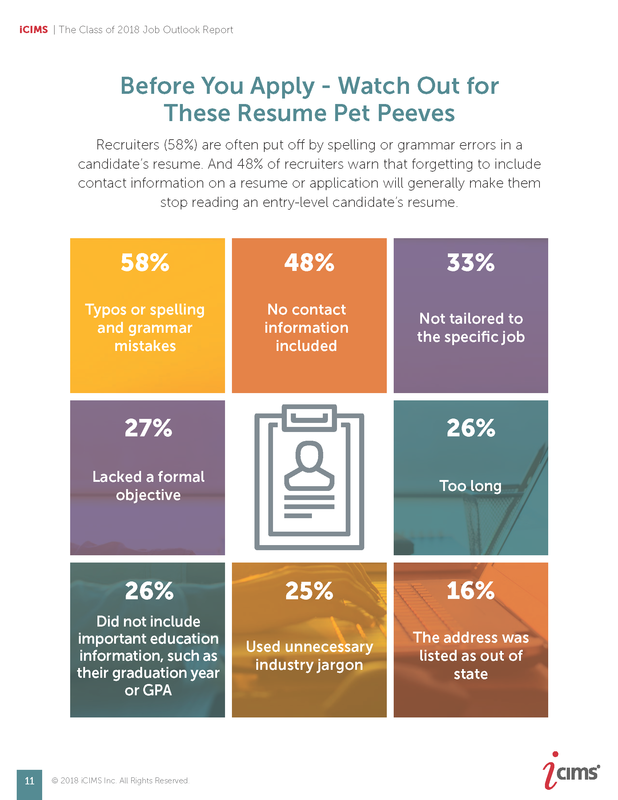 College graduation season is around the corner, bringing with it a group of newly minted job seekers. 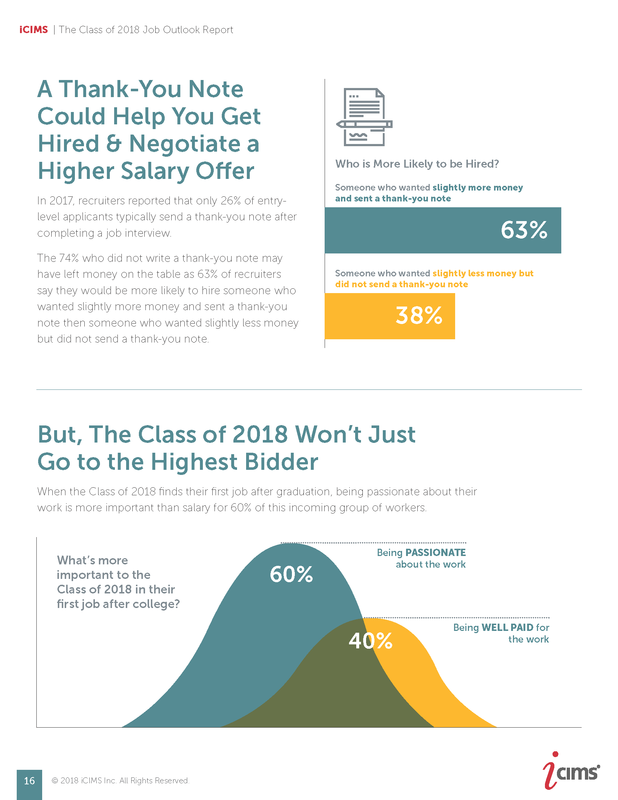 This year’s graduates are confident in their ability to find the job they want after graduation, and a well-paying one at that. 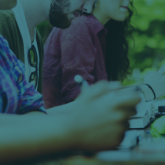 Young people today are the most educated generation in U.S. history, but is college equipping students with the skills they need to succeed in the real world? 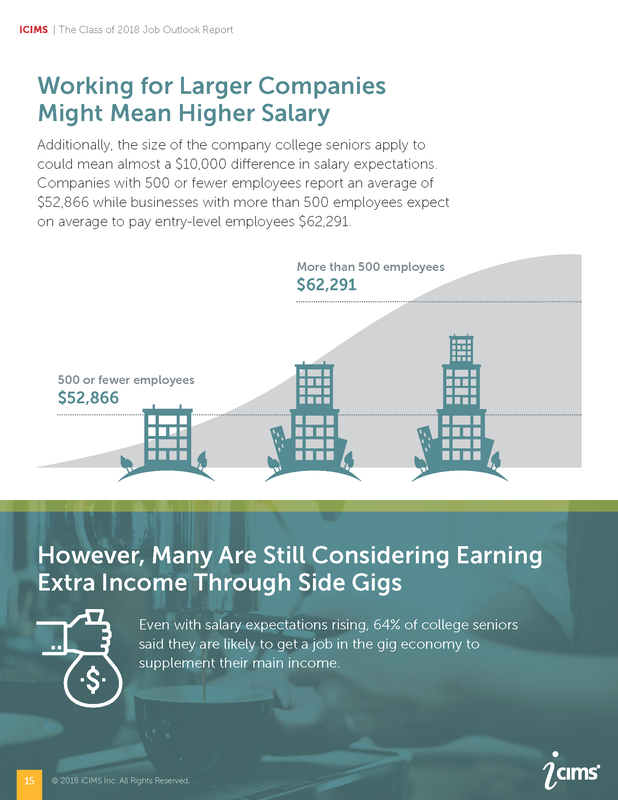 Is there value to earning a master’s degree in today’s tight labor market? 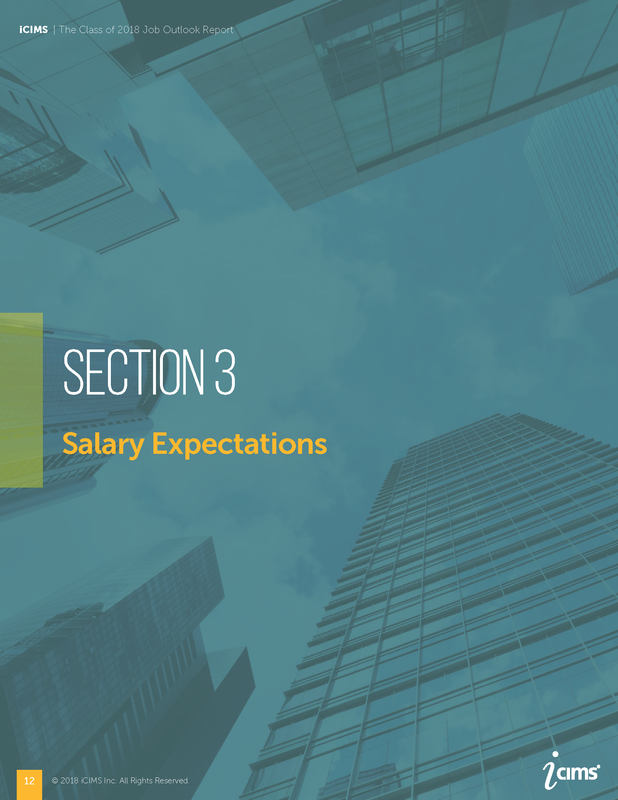 Our third annual report explores the professional aspirations and expectations of the Class of 2018 – including industry, role, salary expectations and grad school ambitions. 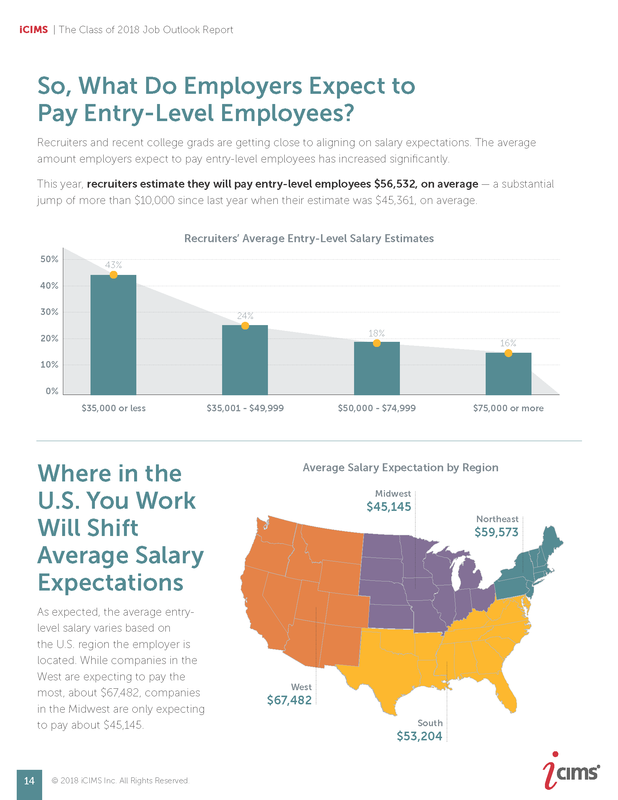 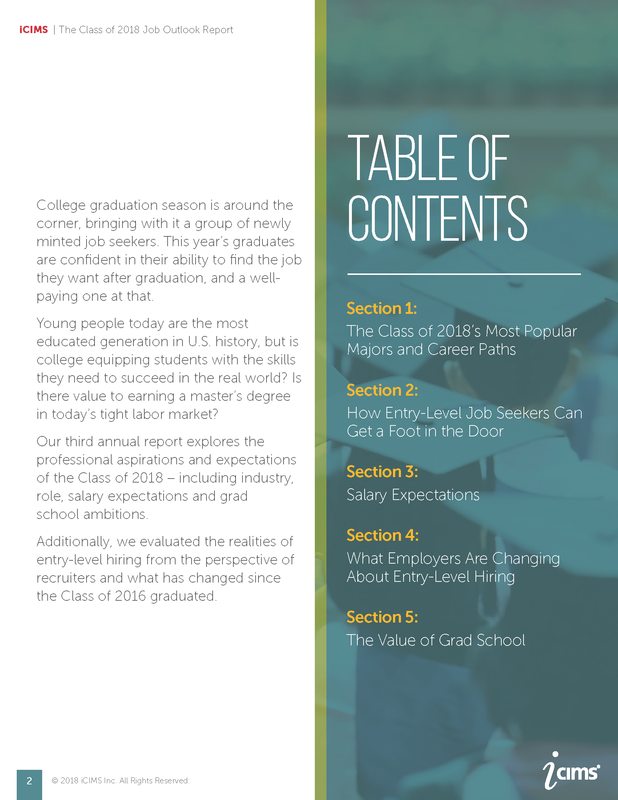 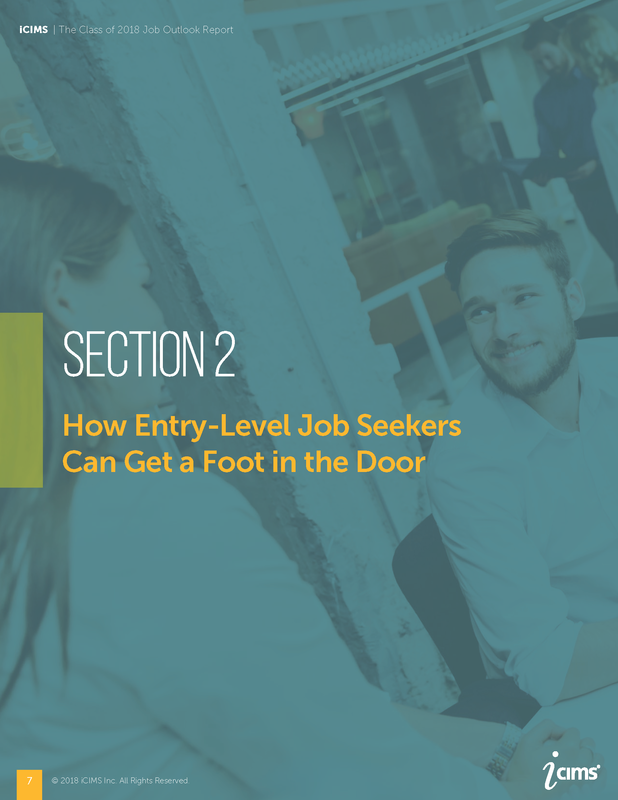 Additionally, we evaluated the realities of recruiting entry-level roles from the perspective of recruiters and what has changed since the Class of 2016 graduated. 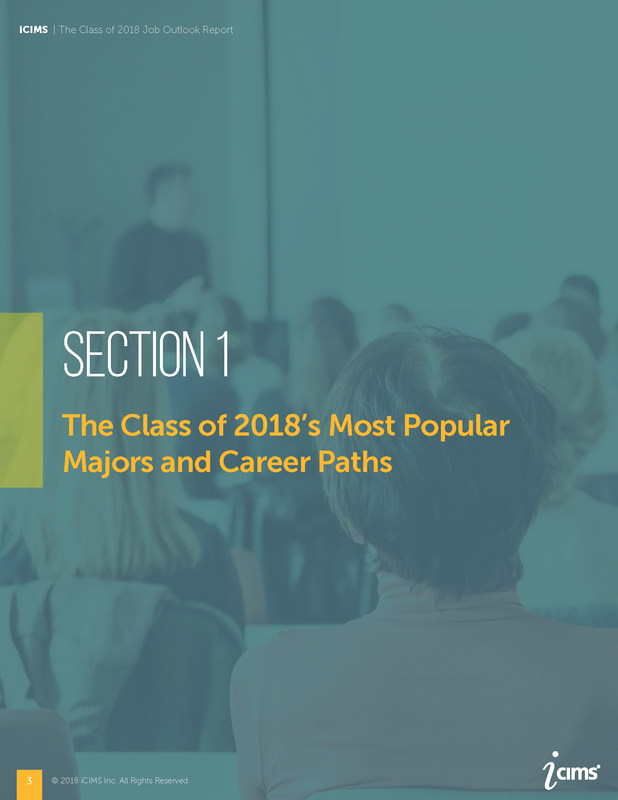 The most popular majors for the Class of 2018 include healthcare/environment (healthcare, psychology, social work, and agriculture, natural resource and environmental science) and STEM (Science, Technology, Engineering and Math). 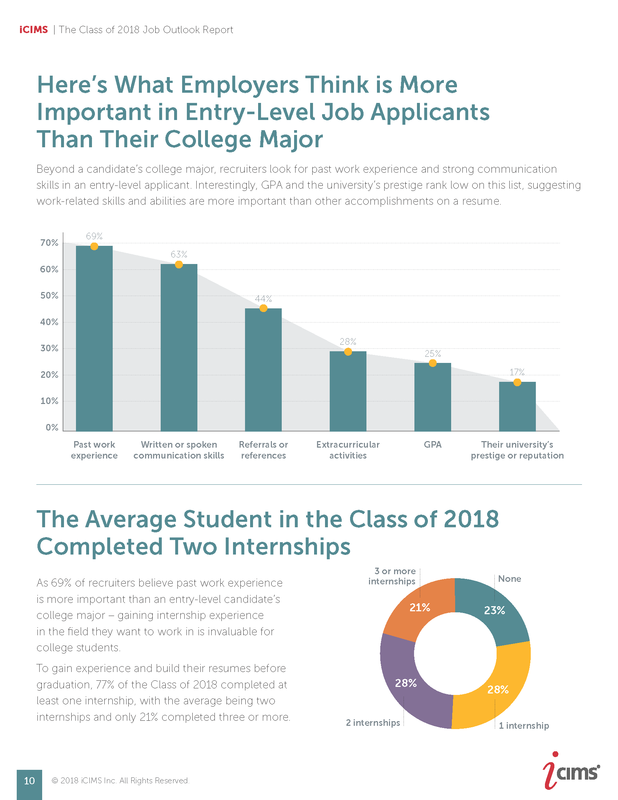 While only 24 percent of college seniors surveyed will be graduating with a degree in STEM, these students are in high demand – 52 percent of recruiters say they are most interested in hiring majors in these fields. 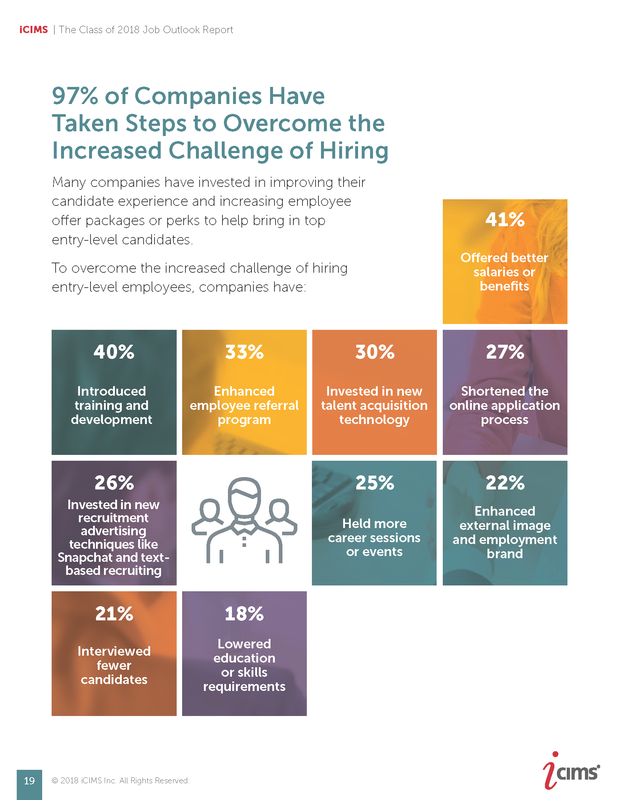 However, employer interest is not as aggressive as it was last year, when 61 percent of recruiters said they were most interested in hiring STEM majors. 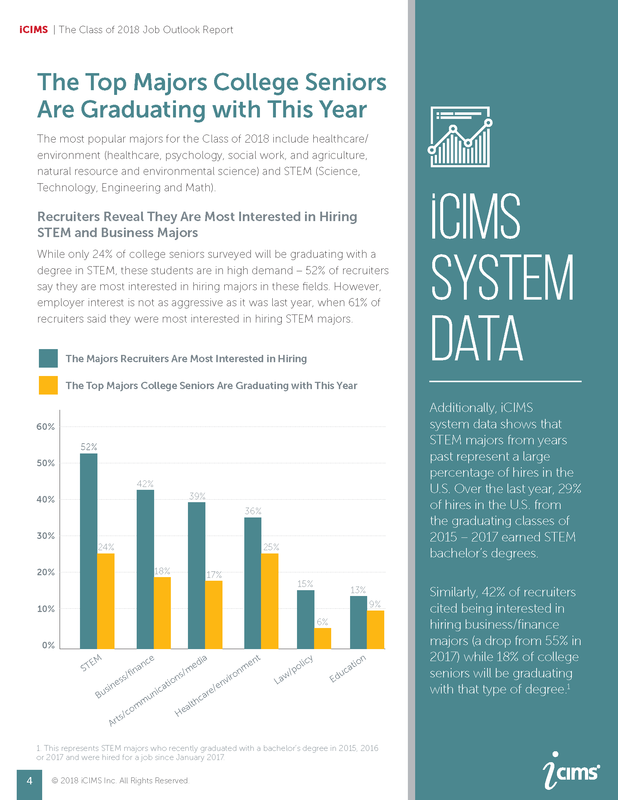 Additionally, iCIMS data shows that those who graduated with STEM majors in years past represent the largest percentage of hires in the U.S. compared to business, arts and humanities, and healthcare and medicine. 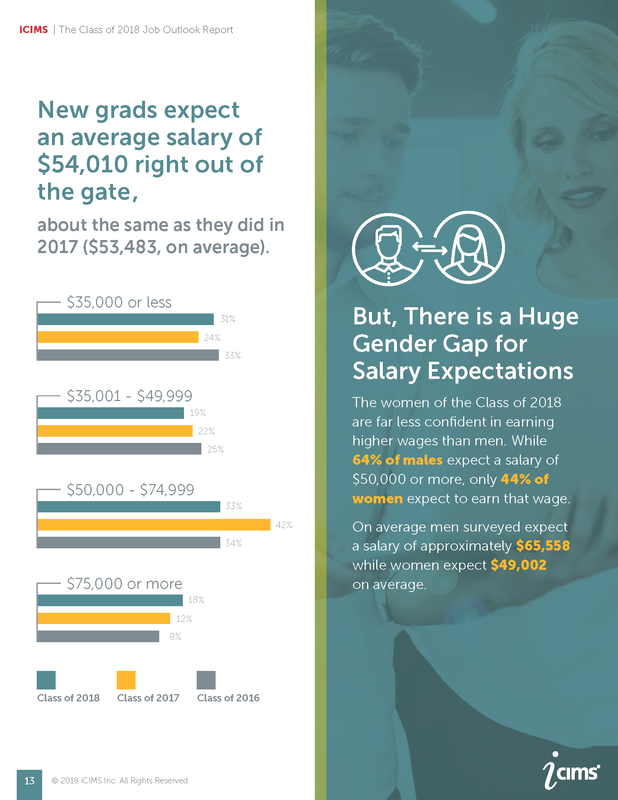 Over the last year, 29 percent of hires in the U.S. from the graduating classes of 2015 – 2017 earned STEM bachelor’s degrees. 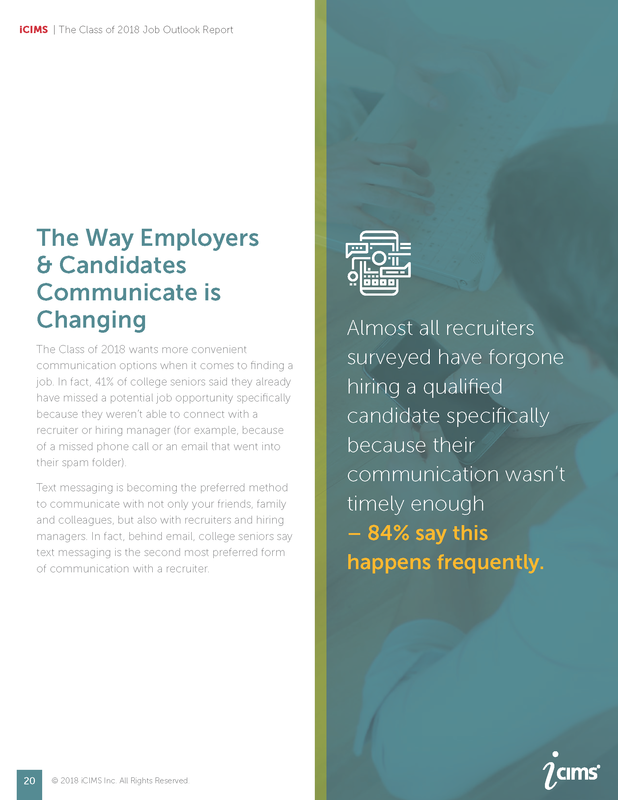 Similarly, 42 percent of recruiters cited being interested in hiring business/finance majors (a drop from 55 percent in 2017) while 18 percent of college seniors will be graduating with that type of degree. 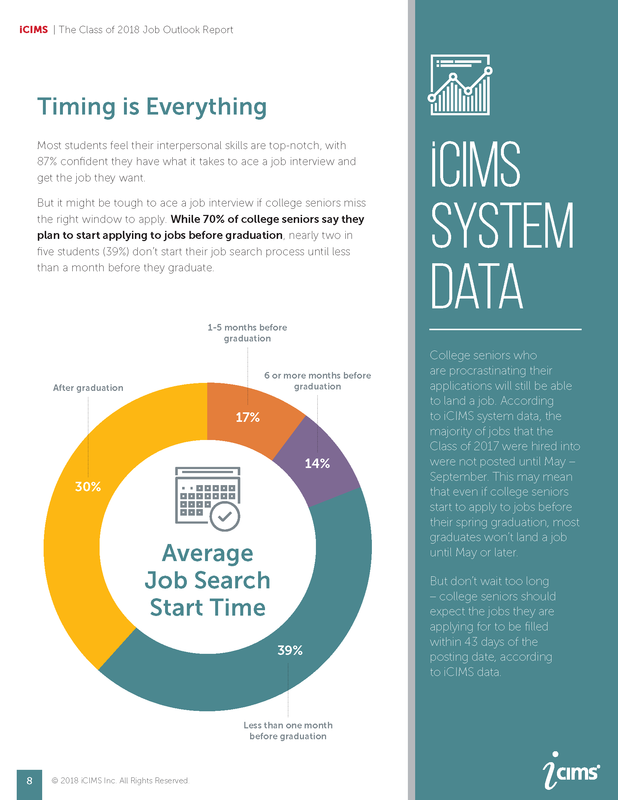 Where Should STEM Majors Look for Jobs? 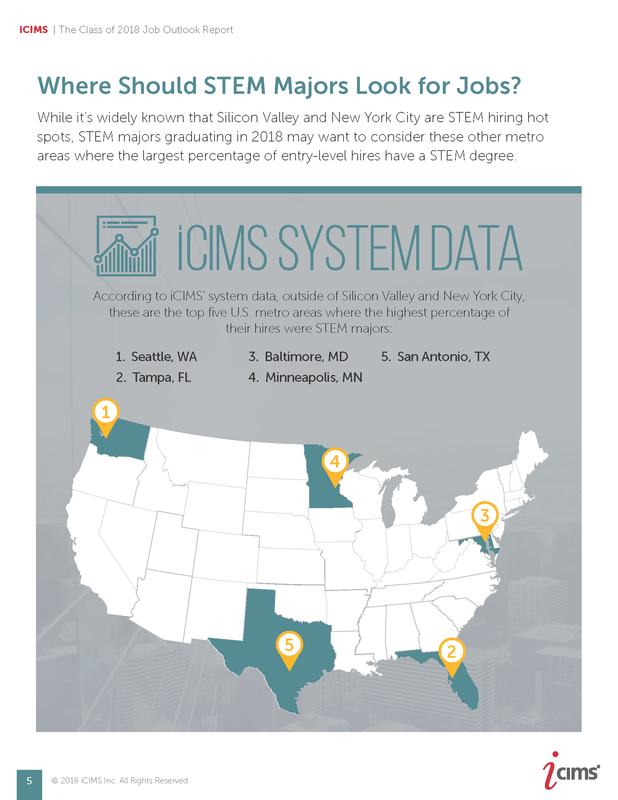 While it’s widely known that Silicon Valley and New York City are STEM hiring hot spots, STEM majors graduating in 2018 may want to consider these other metro areas where the largest percentage of entry-level hires have a STEM degree. 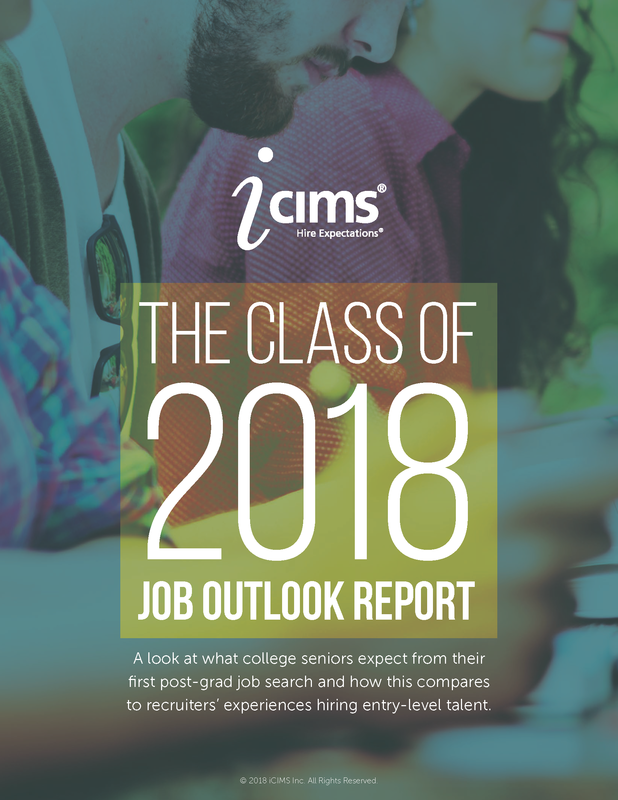 Overall, 85 percent of the Class of 2018 is confident that their first job after college will be a job they are happy with. 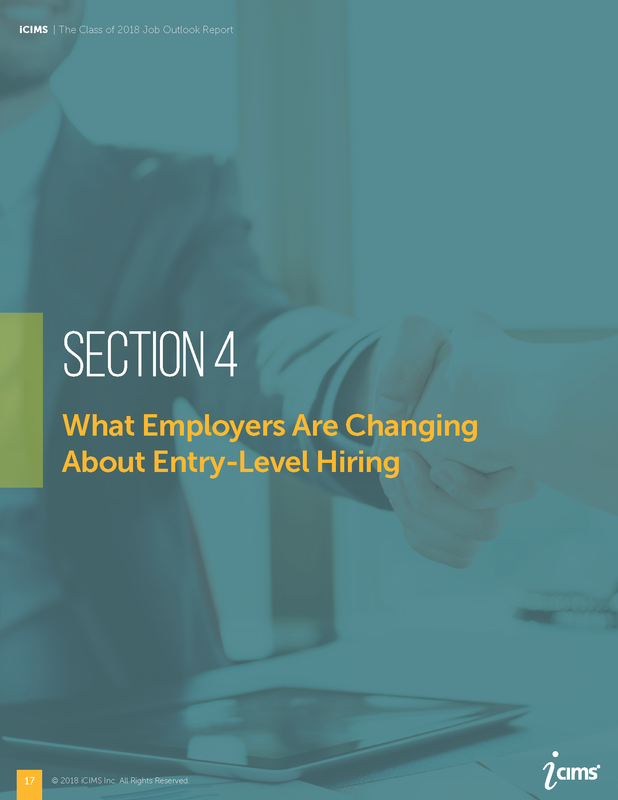 However, the roles most college seniors want to work in will likely be highly competitive as recruiters’ hiring needs do not match those interests. 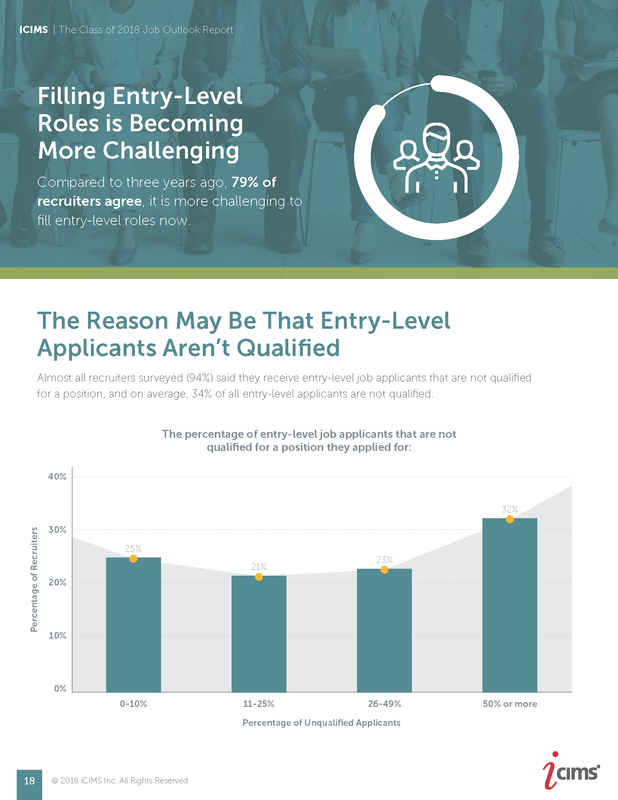 Additionally, employers may have trouble filling their most in-demand entry-level role needs (human resources and information technology) as only 16 percent of seniors want to work in HR roles and 14 percent want to work in IT roles.